that you've been chosen to be a contributor on one's website. "WOAHH - I am getting recognised as a blogger"
in exchange for what, exactly? so you do not get traffic on your own blog. are doing work you should get paid for. YES. and you're doing it for free. And what are they getting? Good content, because they can't be bothered to write up their own. because you share the article you wrote on their website on your networks. Paid Advertising because they get people to advertise on the website that YOU help enrich with content. on how much feed they truly get. P.S. I'm not down-talking anyone. I HAVE fallen for it. Aww sorry to hear that :( thanks for reminding us. This reminds me to be more careful.. It happened to us (us=greek breauty bloggers) too. A new website contacted many of us to write in it for free. 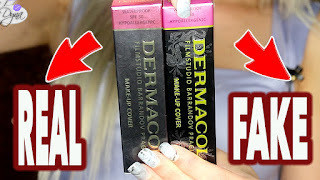 A couple girls agreed and not only they never paid them or sent them products or anything but they stole more posts/vids from their blogs/channels than they had agreed! Luckily, I've been warned and didn't fell for it but I can understand how a new blogger would fall. Communication among bloggers is very important!